To configure a router according to the user requirements, one must enter into the setup or configuration page of the router. Asus router is no different. Even though it is easy to set it up, if you can’t log in to an Asus router, then it’s simply not possible to do it. There can be many reasons why this glitch happen. Some of the causes are that the internet connectivity is not correct, or the router itself is not functioning properly, Also, another cause can be that the default IP address that you have entered is wrong. 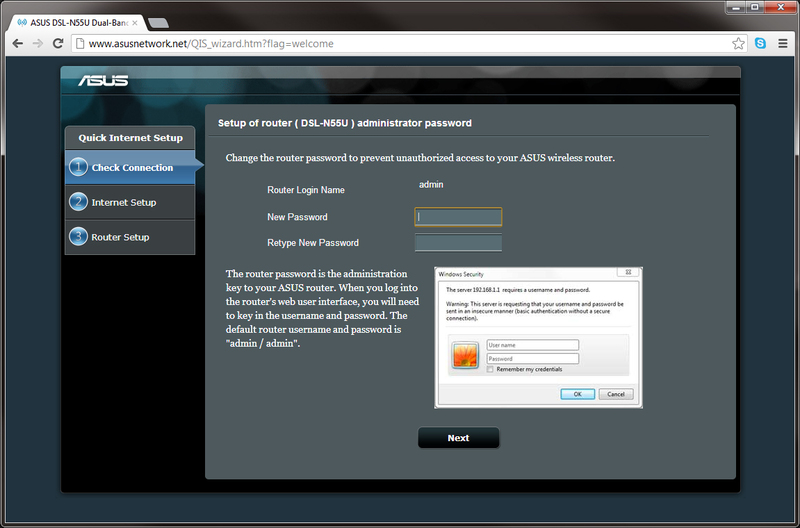 In the next section, you will get the procedure to login into the Asus Router. First, using the Ethernet cable, connect the LAN port of the Asus router to the LAN port of your machine. Launch the web browser and in it, type the default IP address on the address bar to open the configuration settings of the router. You can get the default address on the label at the back of your Asus router. Now, on the login page enter the credentials like username and password to enter into the setup page of the router. The default username and password are also present on the label at the back of the device. Finally, when everything you enter is correct, then the configuration page will be displayed. In this section, you will get the fixes that will help you to eliminate this error easily. If you are not a tech-savvy person, then do not worry. Our team of experts at Baba Support will certainly help you out. First, use an ethernet cable to connect the computer to the router. Next, within the search pane of your PC, type ‘control panel’. From the search results, choose ‘Control Panel’ option. This will display the ‘Control Panel window. Inside that window, locate and hit the category ‘Network and Internet’. Next, choose the option ‘Network and Sharing Center’. Now, within that window, go to the left pane and select the link ‘Change adapter settings’. On the new window that opens, choose the adapter that you have connected via the wire. Right-click on it and tap on the option ‘Properties. Within the ‘Properties’ window of that chosen adapter, locate and choose the option ‘Internet Protocol Version 4 (TCP/IPv4)’. Next, choose the option ‘Obtain an IP address automatically’ and hit the button ‘OK’. On the Internet Options window, choose the tab ‘Connections’. Under that tab, go to the section ‘Local Area Network (LAN) settings’ and hit the button ‘LAN settings’. Now, from the dialog box having the same name as the button, uncheck the option ‘Use a proxy server for your LAN (These settings will not apply to dial-up or VPN connections). Tap on the button ‘OK’. In the search box, type Windows Firewall, and choose the option ‘Windows Defender Firewall’. After that, from the left pane choose the link ‘Turn Windows Defender Firewall on or off’. On the sections ‘Private network settings’ and ‘Public network settings,’ select the option ‘Turn off Windows Defender Firewall..’. Finally, tap on ‘OK’ button. You can resolve this error if you reset your Asus router to its default settings. In order to do that, follow the steps mentioned below. First, tap on the button ‘Restore’ at the back of the router for up to five seconds or more until the power light starts to flash. After that, while the power button is still flashing, release the ‘Restore’ button. Now, when the light of the power is solid, then your router is set to the default configuration. At last, attempt to access the configuration page of the router. If the firmware within your Asus router is corrupt or is not functioning properly, then, due to that, you can encounter this error. In order to correct the Asus router login issue, you will have to update the firmware of the router to its latest version. First, launch the web browser and visit the official Asus router website. Then, find the model number of the device and search for the firmware on the website. When you have got the specific firmware for your router device, download it. After the process of download is complete, locate the setup file and install the updated firmware. If the above-mentioned process didn’t help you to resolve the issue, you can contact Baba Support. Their highly professional executives are capable enough to resolve the issue effectively. Moreover, you can reach the moment you face a problem, dial toll-free support number for Asus router +1-888-885-9419. The tech experts at Baba Support are active round the clock and you can contact them anytime you need assistance. You can also chat with experts or mail them at info@babasupport.org with your queries and let them get back to you in no time.